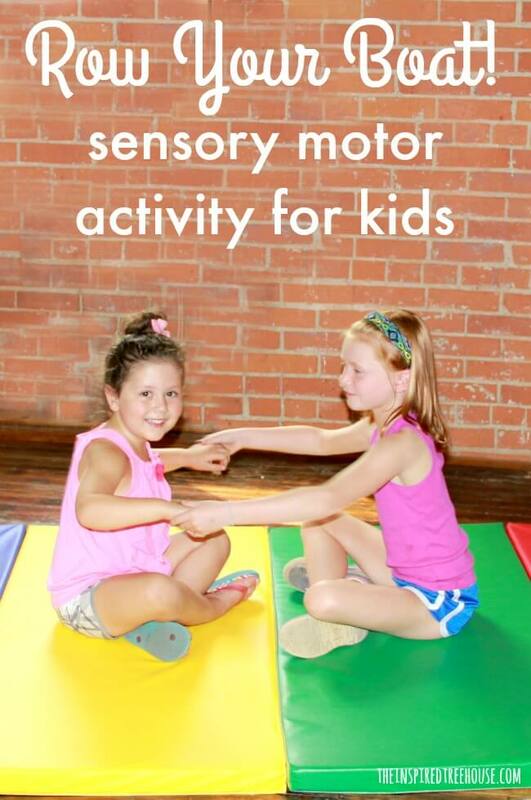 These fun sensory activities are great for providing calming proprioceptive and vestibular input to the body. Gentle, repetitive vestibular input is calming and organizing to the nervous system. 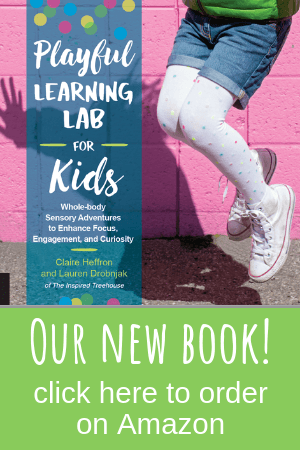 So it’s no wonder that the fun sensory activities in this post have become a regular part of my treatment sessions when I’m working with children who have a hard time regulating their behavior and responses to sensory input in their environment. A few minutes of gentle rocking back and forth is often enough to help a little one regroup and move on if he’s feeling overwhelmed. 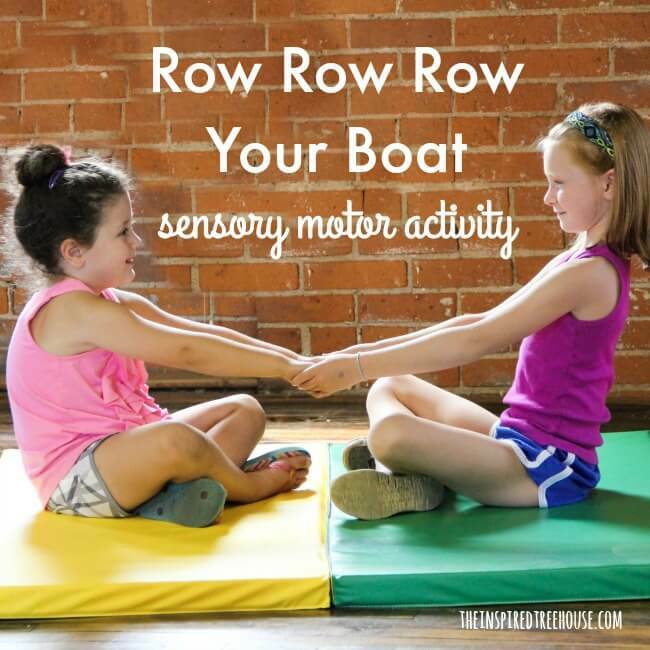 Set sail with these fun and easy activities that emphasize core strength and calming vestibular input! Just an open space to play! Have two children position themselves so that they’re facing each other in a tailor sitting position (otherwise known as “criss cross applesauce” in my house:). 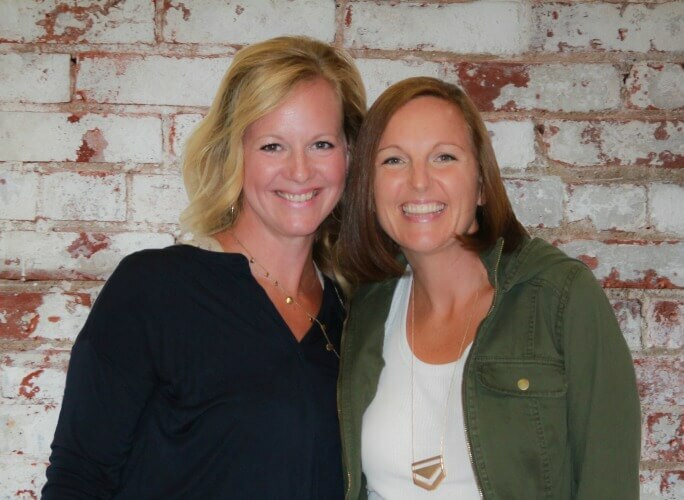 Tell them to reach out and hold hands in front of their bodies and begin to alternately push and pull so that their upper bodies rock forward and backward with each motion, like they’re rowing a boat. This one can be done with an adult, or kids can try on their own. In a tailor sitting position with your child on your lap, start by rolling backward onto your back. Then, using your legs and abs (this is a good workout for mom/dad too!) roll back up to sitting again. Repeat this motion, rolling forward and backward like a boat on the waves. This activity has the added benefit of full-body deep pressure input, as the child is cuddled up on your lap. Have kids try it independently: sitting with knees bent (feet on the floor in front of them), they can roll down onto their backs and then up to sitting again. Stand facing the child holding both hands out in front (stand about a foot apart). Slowly extend your arms, the child keeping his body straight and leaning backward and then pull the child gently back toward you. Repeat this rowing motion. -Sing Row, Row, Row Your Boat or another favorite song as you do each of the activities, rocking/rolling/swaying to the rhythm of the song to add to the calming effect. -Experiment with moving fast and slow – have the child be the captain of the boat, telling you how to move! 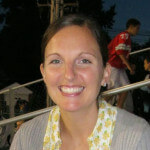 -See if you can create more fun ways to ride the waves!